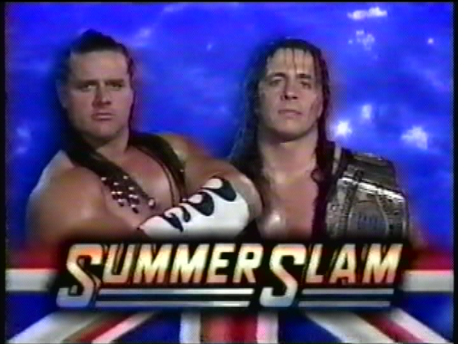 Many have been talking about a different 25 year anniversary this week but with the latest edition of Summerslam coming this Sunday, this year also marks 25 years since the only major pay-per-view to hit WWE shores – Summerslam 1992. 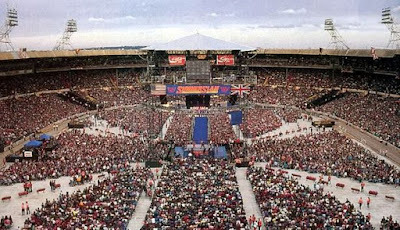 80,335 fans crammed into Wembley Stadium on 29 August 1992, two weeks after the official start of the Premier League as the WWF hit its peak in Europe in front of their second highest crowd attendance ever as hometown hero The British Bulldog went for the Intercontinental Championship against Bret ''The Hitman'' Hart, whilst ''Macho Man'' Randy Savage defended the WWF Championship against The Ultimate Warrior in a rematch of the previous years Wrestlemania VII classic. Lee Kimber attended the event as a 16-year-old along with his friend Graham. and has fond memories of this era of wrestling, saying: ''I had only gotten into the WWF the year before when Graham loaned me his VHS recording of Wrestlemania VII. From that point I was hooked. ''In 1992 I think it’s fair to say my love of wrestling was at its peak and I was pretty much obsessed with it. My outright favourite was The Undertaker, but I was a big fan of several others, particularly Bret Hart, Ric Flair and Mr Perfect. 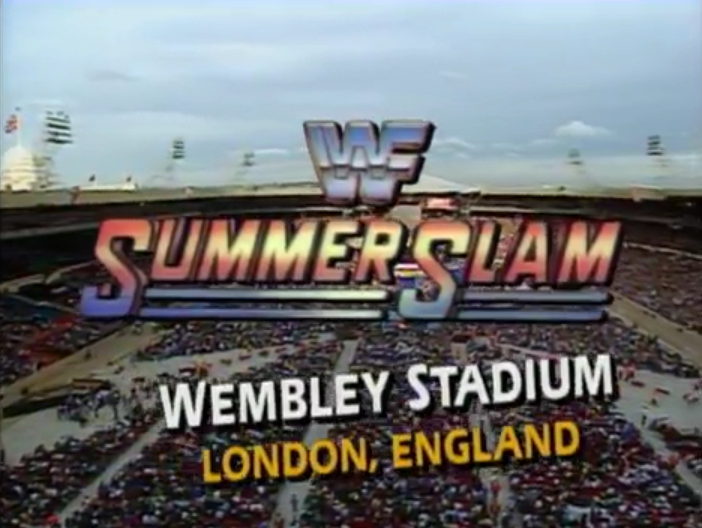 ''The WWF was massively popular here at the time with their tours selling out all over the country. I think it was an opportunity to cash in on the huge European popularity at the time and they took it. Alan Dicks was also one of the thousands in Wembley Stadium as a 14-year-old along with his dad and sister. Speaking of his fandom at the time, he said: ''I was a huge fan, I watched both WWF and WCW and was a big fan of both Bret Hart and Randy Savage. ''There were over the top characters, a lot less TV so you didn't get to see everyone all the time and big events seemed a lot more important. Ollie Clark attended with several friends and concurred with these reports of the WWF in 1992, explaining: ''I was a massive fan. I'd been watching religiously since 1987, went to the first ever televised WWF show in the UK in 1989 at the London Arena and went to WrestleMania VIII in 1992. ''The night before WrestleMania VIII, I found the hotel were a lot of the wrestlers were staying and spoke to Vince McMahon! ''I asked him if he thought he would ever do Wrestlemania in the UK and he said 'never say never but probably not Wrestlemania', but another pay-per-view absolutely! ''It was really good over here at the time. I felt it peaked in between 1988 and 1990 but was still massive in the UK in 92. 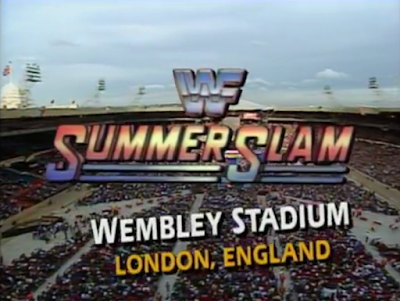 According to The Wrestling Observer, the plan was to do the event in Washington, DC but with business in the US down, which had a lot to do with Hulk Hogan leaving the company for the first time, the decision to come over to the UK and air the show on a two day tape delay in the States was made. Tickets went on sale in around April 1992 for the event, and this video from Sky News shows footage of people queuing up overnight for the occasion and providing some refreshing insight on what it meant to have the show in the UK at the time. Alan Dicks went to the show after seeing a travel package advertised in a newspaper and made his way down to the event on a travel agency coach, whilst the dark days before the internet saw Lee spend three hours on a phone hotline before getting through whilst Ollie queued up for tickets at Wembley itself. The build up to the show revolved around a lot of drama, in particular with the two big babyface matches which were a rarity at the time. Lee Kimber remembers this well, saying: ''It was covered heavily on weekly programming, in particular the Warrior v Savage match with speculation of whose corner Mr Perfect would be in, and the focus on Diana Hart Smith and her emotional turmoil as her husband and her brother prepared to face off. Shawn Michaels and Rick Martel were also feuding over the services of Sensational Sherri and The Undertaker's first feud of what went on to be a four year stint of him taking on big men saw him face Kamala in a Casket match, which you can see more of in Mean Gene Okerlund's special Summerslam preview two weeks before the event on an edition of Wrestling Challenge. So the stage was set for a terrific event to unfold, and we'll continue with this when we take a look back at both the day and the show itself exactly 25 years to the day, on 29th August. See you then!